Galaxtar Launches The First Ever The Galaxtar Workshop Series 2013 Season 1 – Make-up & Beauty at 6 Locations Nationwide. The 2-day workshop will be held at 6 selected locations in Peninsular Malaysia from March 2013 until June 2013. 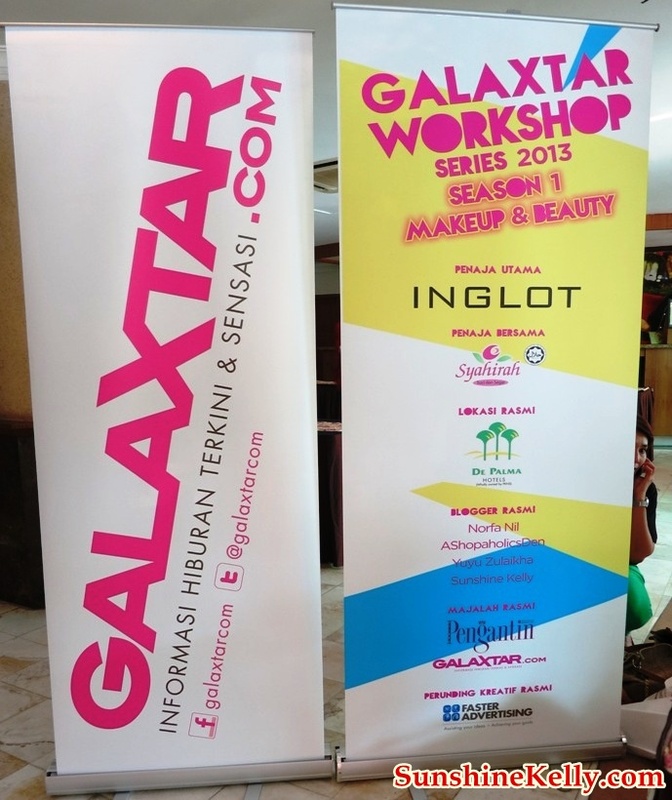 Galaxtar Workshop Series 2013 is a short 2-day course workshop series in which participants will be trained by professionals to develop their talents and fulfill their true potential in the field of make-up and beauty. The objective of this workshop series is to provide talented individuals with the training and development platform to hone their skills to a higher level. 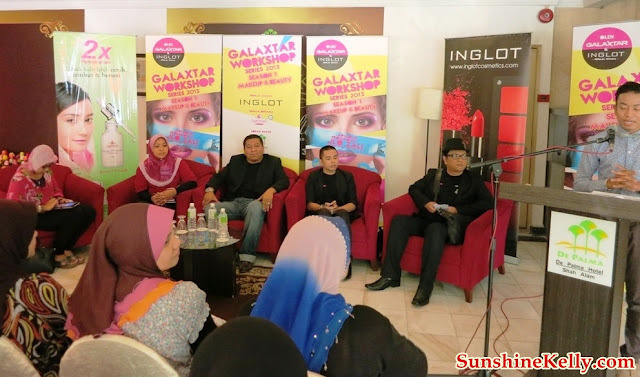 Galaxtar workshops provide a platform for them to learn more about their favorite activities as well as be able to start a lucrative career out of their passion. 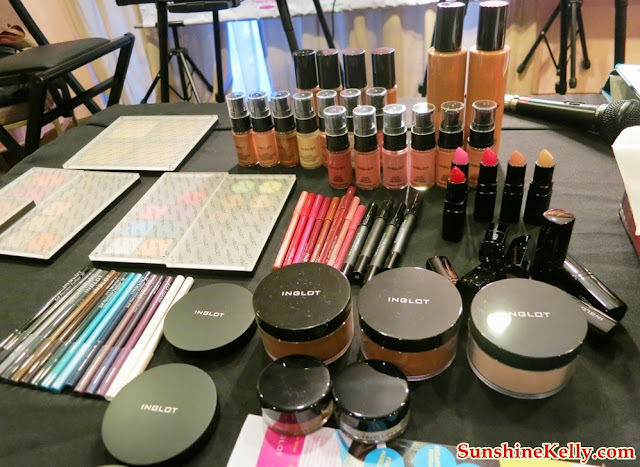 The main focus of the first season is on makeup and beauty. Workshops will be held from March 2013 to July 2013 at 6 locations, including Shah Alam, Kuala Lumpur, Kuantan, Johor Bahru, Malacca and Penang. 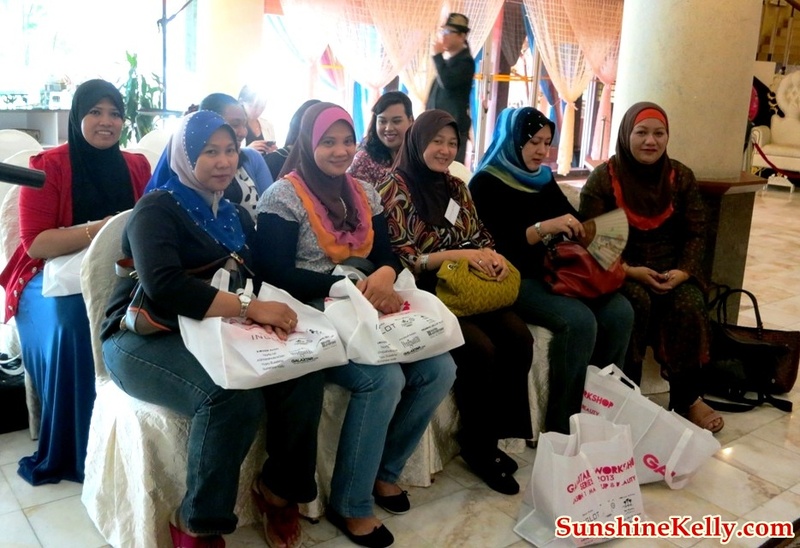 The first workshop will be held on 23-24 March 2013 at De Palma Hotel, Shah Alam. Galaxtar have invited 10 representatives from The Federal Territory and Selangor Islamic Single Mothers Association (PITWS) and the Women’s Association of Research Initiatives, Development & Advancement (WIRDA) to participate in this workshop series and thus help them to learn and use the skills that they have to progress of themselves and the society in particular. Each participant will receive a Certificate of Recognition from Inglot Cosmetics Asia as the main sponsor and Galaxtar as proof of workshops attended and successfully completion. 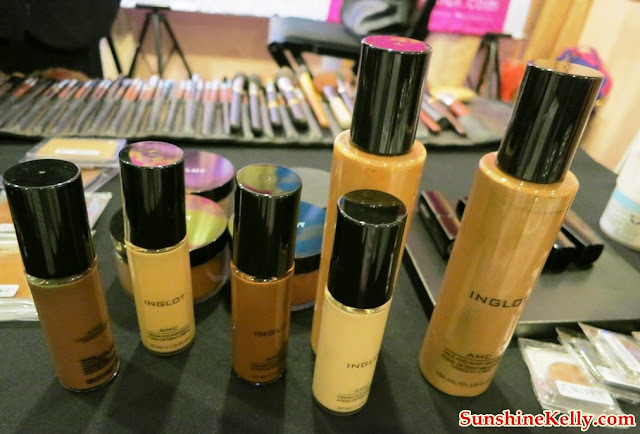 The official makeup and beauty team for this workshop series will be the experienced celebrity makeup artist JLo Zali and his team, along with make-up artists and beauty consultant from Inglot Cosmetics Asia and Syahirah. 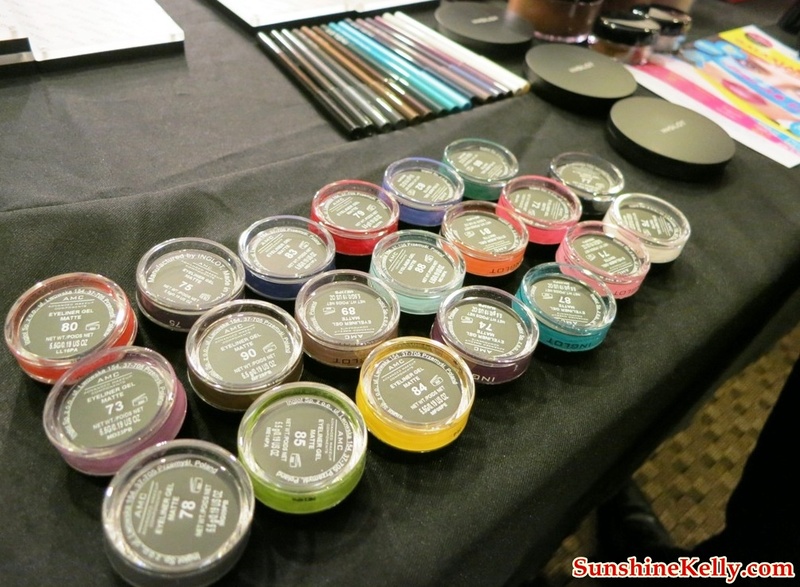 Among the areas that will be covered and taught are Hijab Styling, Make-up & Bridal beauty, Muslimah Fashion, TV, Film & Photo Shoot Make-up, Personal Beauty and the unique, Special Effects Makeup. 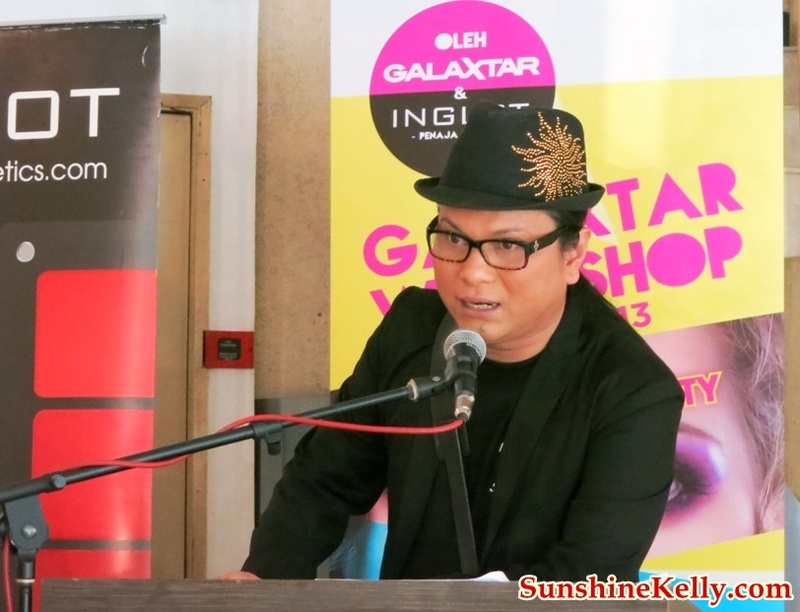 In addition of receiving a Certificate of Recognition by Inglot Cosmetic Asia and Galaxtar, participants of this workshop series will also receive an exclusive T-shirt, souvenirs and a variety of products from the sponsors and Galaxtar’s merchandises, cash voucher worth RM60 and a discount card by Inglot Cosmetics Asia and will also have the opportunity to mingle with celebrities who have been specially invited to enliven the series of the workshops. For the 2- day workshop, the organizer also provides lunch and afternoon tea to all participants. Galaxtar has announced a special promotional rate of only RM300 (original price was RM500) for its registration fee for a full 2-day workshop.